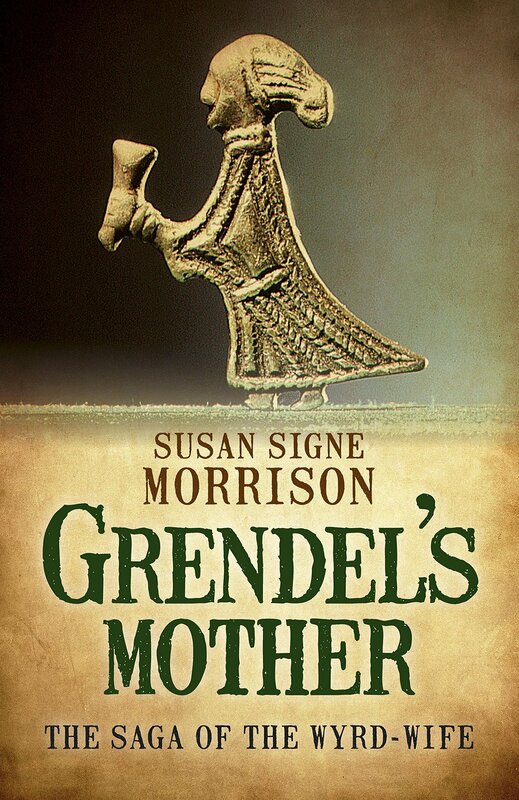 Books: Grendel’s Mother by Susan Signe Morrison. Grendel’s Mother tells the story of Brimhild, a child found abandoned in a boat on the shores of Denmark. Taken in by a fisherwoman woman and her husband, she is received as a blessing for the child they recently lost. There is nothing to identify her save for a few strange, and foreign items packed in the boat. When the Queen tries to have Brimhild removed because she fears the child may bring down the wrath of a rival clan, the family petition the King to keep her and raise her as their own. Although Brimhild is potentially from a rival people, she is raised as a Dane, and member of the Scyldings, much loved by her adoptive family. Morrison takes us on a journey, back through time, to the dangerous world of fourth century Denmark as seen through Brimhild’s eyes. We see her happy childhood, her youth spent at the mead hall court, her marriage to King Hrothgar and the birth of their son Grendel, and finally, her life as a mere wife and healer. Grendel’s Mother has already gained critical acclaim, it has been shortlisted for the 2015 Sarton Literary Award for Historical Fiction, and it’s not difficult to see why. Morrison gives us a fascinating account of love, family, honour, sorrow, war, tragedy, and of Gods old and new, in this beautifully written reimagining of Beowulf . We get to experience the story of Beowulf through the perspective of Grendel’s mother, who we see is not a monster, but recast here as a foreigner, washed up onto shore, and taken in as one of their own. A strong and capable queen, and unshakeable friend, and a fearless foe. The book not only offers a different take on this ancient tale by making Grendel the hero and focal point of the story, but it’s also an excellent source to peer back in time and get a glimpse of the lives of early medieval Danes; their religious beliefs, their enemies, customs, medicine, daily life and world views. One of the features of the book I enjoyed most was Morrison’s writing style. She skilfully combines Old English alliterative verse and modern English throughout the book to give the story an Anglo Saxon flavour and a haunting, eloquent feel to the narrative. While strange at first, the style doesn’t feel contrived, it doesn’t stall the storytelling, or make the text complicated for the uninitiated reader; it adds depth, authenticy and character to the novel. Morrison is an Anglo-Saxonist, and professor of English literature; her talent for weaving modern language and Old English seamlessly shone through on every page. It never felt out of place. You don’t have to be an Anglo-Saxonist, or even read Beowulf to enjoy the story. While it is technically a “prequel” or offshoot of Beowulf , you can enjoy it on its own. Morrison intended the work to be accessible and enjoyed by scholars and those new to Anglo Saxon literature. That being said, I can also see how this would make an excellent companion book to anyone teaching Beowulf, as it helps ground the poem in the daily life and struggles of fourth century Denmark. Whether you’re a scholar of Old English, new to the subject, or just interested in early medieval historical fiction, Grendel’s Mother is a must-read book to add to any medieval reading list.